I am fine at navigating Penguin Pursuit when the arrow points up or down, but when the arrow points left or right, the directions don't seem to be correct. If I turn my head to the left, say, and align the keys accordingly, the penguin moves in a different direction than it should. If the arrow is pointing to the left, shouldn't pressing the "up" arrow make it the penguin go the right? It doesn't. I saw a tip that said the right arrow always goes inward and the left outward (or vice versa), and that didn't seem to work, either. It's my only super low LPI on the speed games and I want to improve, but I seem to be missing the "trick". If the arrow at the top of the map is pointing left, pressing 'up' will move the penguin to the left. Pressing 'down' = move right. Pressing 'left' = move down. Pressing 'right' = move up. If the arrow at the top of the map is pointing down, pressing 'up' will move the penguin down. Pressing 'down' = move up. Pressing 'left' = move right. Pressing 'right' = move left. ​​​​​If the arrow at the top of the map is pointing right, pressing 'up' will move the penguin to the right. Pressing 'down' = move left. Pressing 'left' = move up. Pressing 'right' = move down. If the arrow at the top of the map is pointing up, pressing any arrow will move in the same direction as the arrow. Ahhhh... so it's the exact opposite of what I've been doing when the arrow is pointing left or right. Thanks! This game confused the hell out of me for a long time. But after I understood how to play it, it became one of my faves. Hi Anna, this may be of some help. 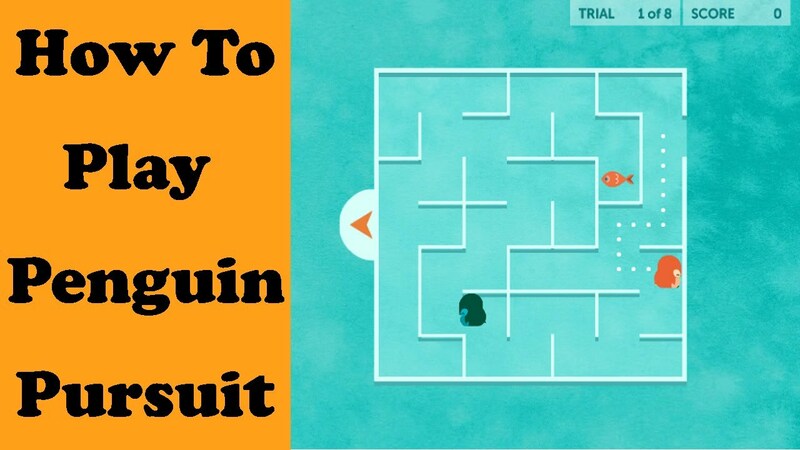 A tutorial video of how to play Penguin Pursuit, a Lumosity speed game. I don't understand this game either. Trust me, if I can get a grasp of this game (eventually), then ANYONE can too. Off to try! I took a break from Luminosity when I achieved an overall goal, but now I am back. Easiest when arrow is pointed upwards. When arrow is pointing downwards, every direction is opposite I.e. up = down, left = right. When the arrow points left or right then I am in trouble. You can turn your head to the left, or rotate the keyboard! But that would be cheating. I had to explain this game to my parents a few times, but they love it now. 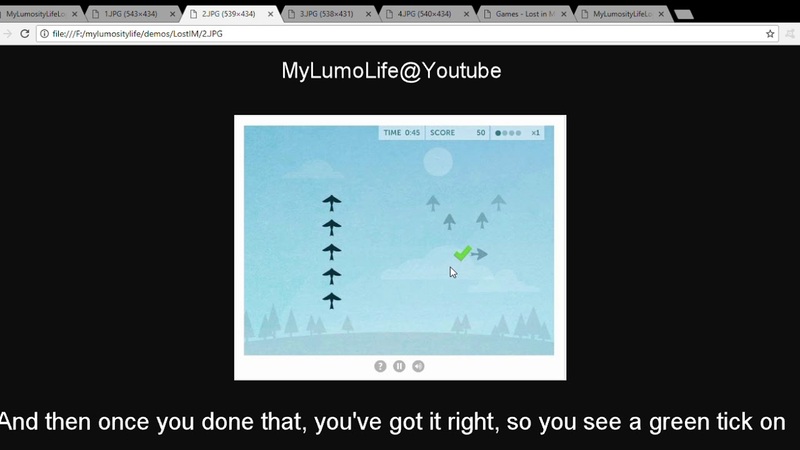 Techniques and strategies for Lumosity Penguin Pursuit. 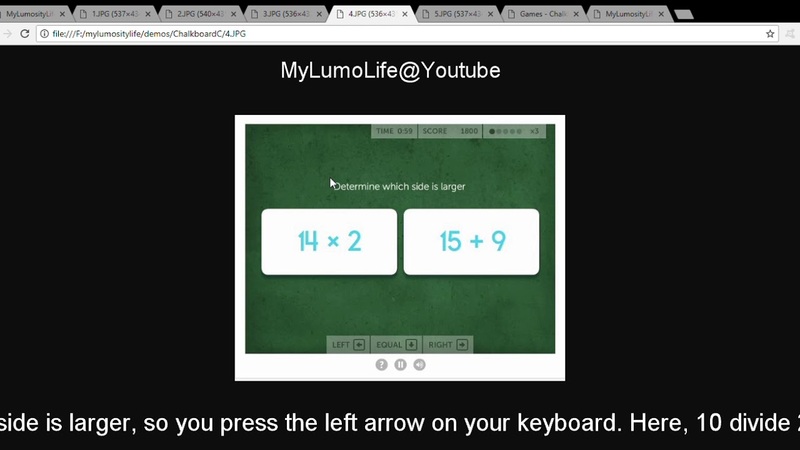 A tutorial video of how to play Chalkboard Challenge, a Lumosity math game. PRESS PLAY TO WATCH THE VIDEO. 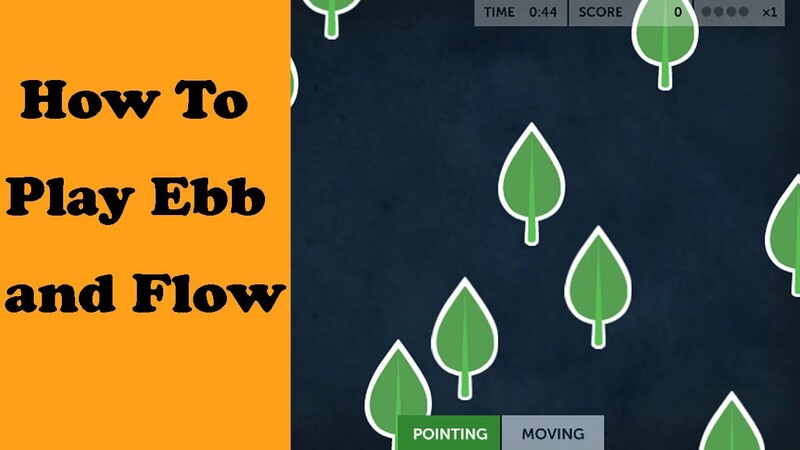 A tutorial video of how to play Ebb and Flow, a Lumosity flexibility game. PRESS PLAY TO WATCH THE VIDEO. A tutorial video of how to play Lost in Migration, a Lumosity attention game. PRESS PLAY TO WATCH THE VIDEO. 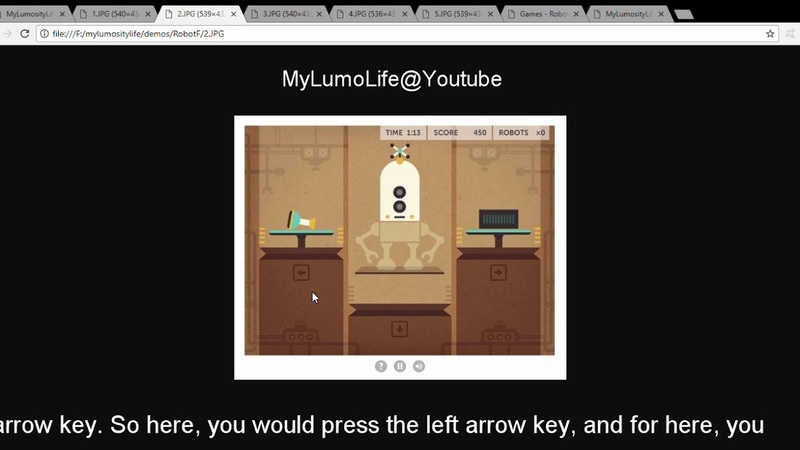 A tutorial video of how to play Robot Factory, a Lumosity flexibility game. PRESS PLAY TO WATCH THE VIDEO. I have not signed up for Lumosity, yet? Please let me know the cost and if you think it is worthwhile. Your input is appreciated. Can anyone solve this in 25? I can't find a solution under 26 spaces. All times are GMT+8. This page was generated at 09:02 AM.